Extending Your Protection: How Does an Extended Warranty Affect Your Vehicle and Finances? 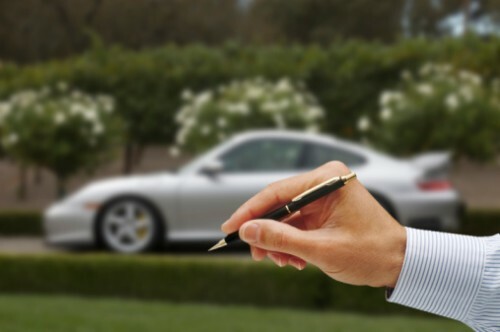 When you sit down to finalize the major purchase of your car, you have probably received a monthly price that you are expecting to pay for the financing of your car. Then, the dealer adds on their fees, and taxes, and title fees….and by the time they are done, they are asking you if you want the extended warranty, and you feel like you simply can’t add anything on to your monthly payment that isn’t necessary, so you say no. But, that extended warranty may very well be necessary, and taking it out early on your vehicle will give you the best coverage at the lowest price. So what does an extended warranty give you, and why is it so important? There are multiple levels, from the top of the line to safety conscious but budget friendly. Many vehicle protection plans range from complete coverage to basic necessities. Complete coverage, or what is called “bumper to bumper,” means that, aside from a few items that may be excluded, such as tires, your entire car is covered generally for the life of your vehicle. Then you have specified coverage, which takes care of the majority of issues that could arise with your vehicle. Comprehensive coverage is good for vehicles with more mileage, as it can be flexible and is a mid-range price. Essential coverages will cover major repairs that are essential to running your vehicle, and the lowest level of coverage you should have would at least keep you safe from transmission and engine problems. You can find protection that you want at a price you can afford. Many extended warranty companies will offer low monthly payments with customizable plans. Look for the roadside assistance coverage availability and the customer satisfaction ratings when you are choosing a warranty. Which Coverage Do You Need? Every vehicle is different, and every driver is unique. Do some research the car you are purchasing from a reputable source, like Consumer Reports, and consider how and where you will be using your vehicle. Rougher terrain and more miles are going to add wear and tear on your car faster than it may have otherwise received. Use that research to determine the level of coverage you will need to purchase. Often, you can talk to the dealership or warranty company to receive a breakdown of the benefits of your warranty. For example, Audis used to be very difficult to keep up with. Basic Audi factory warranty was limited to just a simple powertrain warranty that only covered specific parts of the car, and people had to sink money into repairs left and right. Since then, Audi has improved the performance of their vehicles, but a cost benefit analysis of a Audi extended warranty would be a smart move before finalizing your car’s purchase. If you are planning to make your car an investment that you can count on for years to come, you want to protect that investment. Having to pay massive or ongoing repair bills as your vehicle gets older is going to put a dent in your pocket that probably would not have been there with the extra money the extended warranty would have cost you monthly. Get the peace of mind that will keep you protected, knowing you can drive every day and any problems that may occur with your vehicle are covered. You wouldn’t leave your money laying around unguarded, so why would you leave your vehicle investment unprotected?